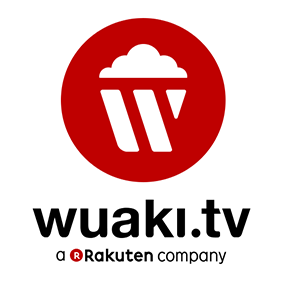 What is Wuaki.tv and who do you target? 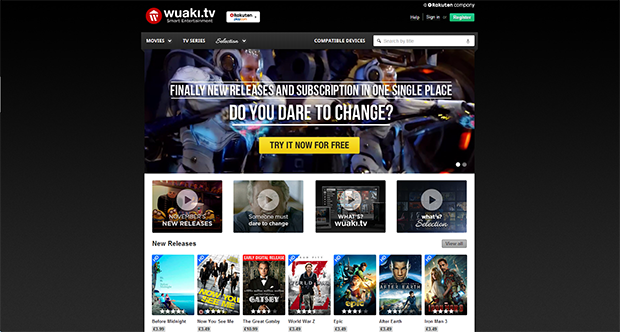 Wuaki.tv is a leading movie and TV series streaming service, dedicated to providing consumers with a wide selection of high quality content through a la carte rental and purchase or subscription services. The goal is to become Europes best way of watching and experiencing high quality entertainment directly on your computer, tablet, games console, Smart TV and other connected devices. 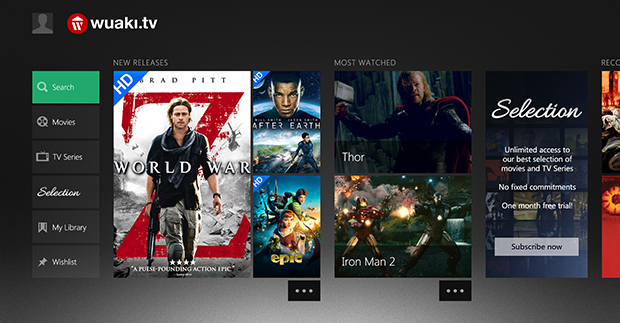 Wuaki.tv is already available on multiple platforms, including Xbox One, Chromecast, numerous Smart TVs and Windows 8 devices, to name a few. As such, it is easily accessible to anyone wanting to stream great content. Wuaki.tv is ideal for everyone, from those who want to watch their favourite movies on-demand when the mood takes them, to die hard TV series fans who love to delve into the latest shows at the click of a button. What do you consider to be your biggest achievements so far and how will you build on this? In 2013 we exceeded one million users worldwide, and also expanded the business into the UK market - attracting more than 250,000 users since launch. To have made our mark in such a competitive market as the UK is a huge accomplishment. To build on this we will continue to pursue more partnerships with a wider selection of content providers and device manufacturers, which will certainly help us attract new users to our service. What will be the biggest aim for Wuaki this year? The aim for the year has been to grow Wuaki.tv through expansion into other key European markets, as well as making continuous updates to the service for our current users in Spain and the UK through by bringing new content to the platform and increasing the number of device partnerships. So far this year, we have entered into new partnerships with LG and Panasonic, bringing Wuaki.tv to new Smart TV ranges. Over 70% of UK viewers will watch movies and TV shows through a Smart TV during 2014 and we only expect this trend to grow. However, with more and more people watching content on more devices, our biggest aim is to ensure Wuaki.tv customers can access our catalogue on the device of their choosing. For example, we have recently partnered with Google to offer Chromecast support and a discount on purchasing a Chromecast device with Wuaki.tv so were now appealing to those users who do not currently own a Smart TV. Well also be launching Wuaki.tv in France over the summer, and adding Germany and Italy too before the end of 2014. What factors will impact the industry in the upcoming year? The main factors that will impact the industry in the next year will be focused around technology and competitors. Hot topics like Ultraviolet and 4k, as well as new devices coming to market, will affect the customer user experience greatly, so it will be interesting to see how this develops. With more and more competitors entering the already overcrowded and popular VOD space, the market will continue to grow and develop rapidly as companies battle to stay one step ahead of the game. Who are your partners in the UK and what do the partnerships mean for your users? We have two main types of partnerships in the UK; content and device partnerships. Our relationships in the UK focus on bringing the best quality content to our users, through collaborating with movie and TV production companies, on the widest selection of devices possible, through partnerships with device manufacturers. Our content partnerships include all of the major Hollywood Studios, as well as key independent UK distributors such as the BBC and ITV. In addition to this, we have also recently expanded partnerships with US-based content owners, bringing HBO and Miramax catalogues and some great titles including Game of Thrones, Hunger Games and True Detective. Were also looking at adding more British and European content to complement the existing line up. Alongside this, we have device partnerships with major OEMs including Samsung, LG, Panasonic, Microsoft and Google. This allows us to offer the Wuaki.tv service on a range of devices our customers use to rent and watch the latest movies and TV series through Smart TVs, Xbox games console, tablets, Windows 8 tablets and PC, mobiles, and most recently Googles Chromecast. We aim to expand our partnerships this year, to ensure all of our users receive the best quality content on the most extensive range of devices. What does being part of the Rakuten group mean for Wuaki and its users? Being part of Rakuten is a big boost for Wuaki. It makes us part of a leading global network of Internet services, which will be increasingly important for us as we expand beyond the UK and Spanish markets. It also allows us to tie into other Rakuten brands in local markets, to make the online shopping and experience a much smoother process for our users. For example, in the UK, Play.com users, another Rakuten company, can use their Play.com account to log into Wuaki and earn Superpoints to use on Play.coms retail store. This ensures our users in the Rakuten family have a seamless experience amongst all platforms, including Wuaki.tv. What are the greatest challenges for internet streaming companies? There are always challenges when operating in a sector as technology-led as ours. Each new technology innovation brings new user expectations and thus more challenges. Consumers increasingly want all of their content to be available effortlessly across all devices. Where a few years ago the idea of having access to the same content on different devices was a novelty, consumers now like to watch a movie on the go on their tablet or phone and continue to watch it on their Smart TV when they get home. They might also want to watch a movie on their Smart TV at home in their living room, but also allow children to have access to kids shows through their Xbox in another room. Content now has to work around other activities in a users life, following them from one to the other and be ready to watch when they are. Wuaki.tv has been working hard on partnerships to make sure our customers have access to content on all of their devices. We have also found consumers want the latest titles immediately, as soon as a movie or TV series is released on DVD or available on one service. This means we have an increasingly interesting role where we are both an entertainment and technology company. Balancing these roles can be tough, but through our ongoing work with both device and content companies were providing a quality service to consumers, that is growing all the time.